Le Salon du Mistral, Mistral’s private dining room, provides a sophisticated setting for intimate gatherings of sixty seated and up to eighty for a reception. With award-winning French Mediterranean cuisine from Chef Jamie Mammano and unparalleled, professional service, Mistral provides the ultimate private dining experience. Our approach to private events is one that emphasizes simplicity in planning with strict attention to detail and elegance. Whether it is a high profile corporate dinner, special family occasion or wedding reception, we will assist in every aspect of your event to ensure a stress-free, memorable experience. 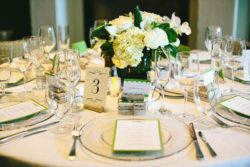 Mistral offers a broad menu, extensive wine lists and an opportunity to customize your event to meet your expectations. Le Salon du Mistral is available for lunch and dinner events as well as Sunday brunch and we recommend you inquire early to ensure availability. For more information on Le Salon du Mistral, contact Lisa Flores at lflores@mistralbistro.com or by calling 617.867.9300.